Attract, develop, motivate, and manage your entire workforce with software as a service: flexible, scalable, and unique – just like your business. In an increasingly connected world, people have more choice in who they buy from, where they invest their time and who they work for. To win today, you need the best talent working at their full potential – and that means connecting them to your company purpose. Total workforce experience includes all employees, all experiences, every location, and every country. 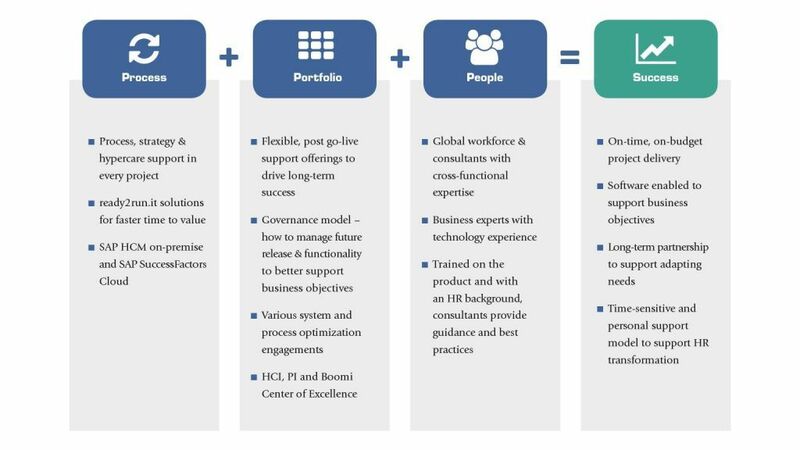 Looking at holistic experience involves expanding beyond the walls of a traditional HR transformation to include a broader scope of people, experiences, and even countries. In doing so, you will ensure that all your employees have the right information at the right time in the right way so that they can do what they need to do in order to drive business success. Do you really know where to find suitable high potentials in the job market? Can you say for sure if your specialists and executives will stay in or leave your company? Are you still searching for answers to one or more of these questions? Then you should get to know SAP SuccessFactors. Just contact us, and together we will find the right answers. 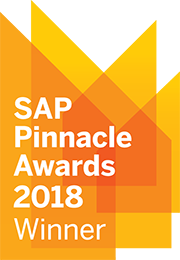 Relevant embedded metrics, analytics, and live insights from any page in the SAP SuccessFactors HCM Suite, embedded machine learning as well as artificial intelligence to guide, suggest, and predict. Deployment flexibility based on your unique needs as large global enterprise, midsize regional company, or small business, derived from lessons learned from thousands of customer implementations. Continuous innovation around emerging workplace and workforce needs, such as continuous performance management, diversity, and inclusion, total workforce management, health and well-being. 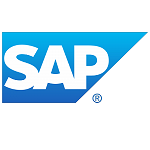 Expanded workforce transformation with built-in integrations to the SAP portfolio to connect HR to the broader business, including SAP HANA, SAP S/4HANA, SAP Fieldglass, and SAP Digital Boardroom. Access to a 65,000+ active member community and deep alliance with SAP user groups globally – with 6,400+ customers in over 200 countries and territories with similar needs and challenges to your own. itelligence provides ‘best in class’ pre-configured HR solutions that quickly enable your organization to achieve the business results you need – on a fixed timeline and budget. Centralize.it provides comprehensive, integrated core HR capabilities specifically designed for business execution. With pre-configured content, you can accelerate implementation for optimal time to value of your core HR processes in the cloud. The SAP SuccessFactors Employee Central rapid-deployment solution is the industry’s only core HR solution that provides comprehensive, integrated core HR capabilities. Recruit.it allows you to increase quality and speed of the hiring process and show impact of recruiting success on business results with best-of-breed recruiting solution in the cloud. Implement SAP SuccessFactors Performance & Goals on a fixed timeline and budget. Onboard.it uses an intuitive and modern user interface, to help guide, connect and develop your new hires so they hit the ground running to become engaged and productive members of your organization. Learn.it is a powerful, easy-to-use learning solution that helps to improve skills, develop leaders, reduce compliance risk and more effectively engage your learning audience. Reward.it enables you to implement comprehensive compensation management processes quickly and easily, using best practices for compensation, equity and variable pay planning. Pay.it offers all the same features and benefits as the SAP on-premise solution, and is delivered with the security, scale and flexibility of the SAP SuccessFactors cloud. Perform&Align.it allows you to adopt best-of-breed goal and performance management processes in the cloud. Implement SAP SuccessFactors Performance & Goals on a fixed timeline and budget. Plan&Develop.it allows you to increase quality and speed of succession planning and career development processes and show impact on business results with best-of-breed cloud solution. Today’s HR leaders are playing a critical role in driving HR digital transformation. They are leading the way in helping business leaders to understand the value of investing in solutions that bring out the power of the workforce to drive business outcomes. And it’s paying off. Have You Heard About Ryan? Get an Oxford Economics study on the workforce challenges that SMBs face in the new digital economy and information about the power of SAP SuccessFactors Employee Central. Take HR beyond enterprise boundaries and create a social and collaborative experience for your people that boosts business effectiveness. With SAP SuccessFactors Mobile, your employees are more engaged, more productive, and much better informed about the way they work. Start to improve business agility and increase user adoption, now. By simplifying talent management and transforming how you engage your people, you can innovate for future growth by engaging your people in the company purpose. This Executive Brief is based on responses from HR executives representing 20+ industries operating in North America, Europe, Asia, South America and other regions. Download our Best Practice Guide to learn more about the four most important steps for Moving HR to the Cloud. The overwhelming trend revolves around concerns with reporting and analytics, validating data accuracy and merging data from multiple sources. HR organizations are transforming to a more strategic role in the organization, creating an agile organization to meet the demands of the business. Our ‘best-in-class’ pre-configured HR rapid-deployment solutions quickly enable your organization to achieve the business results you need. 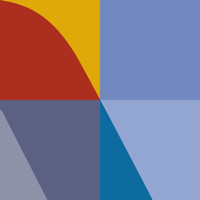 Are you searching for answers or would like to receive more information on SAP SuccessFactors? Do you want more detailed advice from our experts?